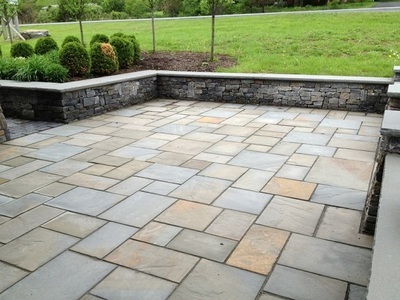 A favored choice for pavers, bluestone tends to be extremely versatile. Not only for pavers, but bluestones are also used for garden paths, poolside, patios, driveways and more. Most homeowners consider not only the price but also the safety aspects of the material before making a choice of a stone. Though this stone can be used indoors as well as outdoors, this tends to be more beneficial when used in the outdoors. This stone being porous can hold and bear water for a long span of time. If you are looking for that special look with this stone ensure that the sealing is done properly. This can prevent any damage due to the foot traffic. With the apt sealing, bluestone can remain intact without any stains or scratches. The many reasons this stone tends to be a favored choice is due to the multiple benefits it offers. Bluestone is available in different sizes, making it a versatile stone apt for any applications. You can decide on the different patterns and designs due to this. Since bluestone is a stone which is extremely durable it works out a favored choice among homeowners. In short, this stone is totally worth the money spent. The bluestone can withstand heavy wear and tear and also the harsh weather elements. You have a choice between multiple colors in bluestone. This includes light brown/tan, dark gray, light gray, blue/red hints and dark brown/tan. In short, opting for the right color and deciding on a right pattern and design, one which blends well with your home landscape you can look forward to a great transformation. Homeowners can be relaxed once they have made a choice of a bluestone as this is slip-resistant. There are no chances of any accidents as the surface is not smooth and polished, but is rough and coarse leaving no chance for a slip and fall. Considering the many advantages this stone works out to be totally cost effective. Cleaning bluestone is easy as you can even brush this without any tensions of scratching it or damaging it in any way. Use dishwasher solution for regular cleaning, once a week. Deposits of minerals tend to get accumulated on this stone over a period of time. This is due to the reaction of minerals like magnesium and calcium with soap and water. Using baking soda or vinegar is one way to treat this problem. For deposits which are minor in nature all you need to do is wipe the surface with a cloth which is soaked in vinegar. For places with more intense deposits, you can scrub this off after you have applied baking soda to the area. For more stubborn deposits you have cleaners which are specifically made for bluestone. As compared to limestone, bluestone is prone to stains. Grease stains need to be washed with plain water and a chemical cleaner. A homemade cleaner can do the trick too. All you require is 1 gallon of water with 2 teaspoons of either ammonia or probably bleach. You can even hard brush the stain with this solution. Though Bluestone is sealed during installation, there are chances of this wearing out over a period of time. Using a sealer which is good that can increase the lifespan and also provide the required protection against mineral stains. This sealant needs to be applied with a paint brush but only after the bluestone has been thoroughly cleaned. 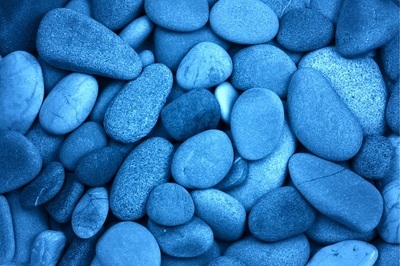 Rely on reputed manufacturers to source good quality bluestones for your home. You have multiple manufacturers listed online. Check out the ratings and reviews before you opt for a specific manufacturer.